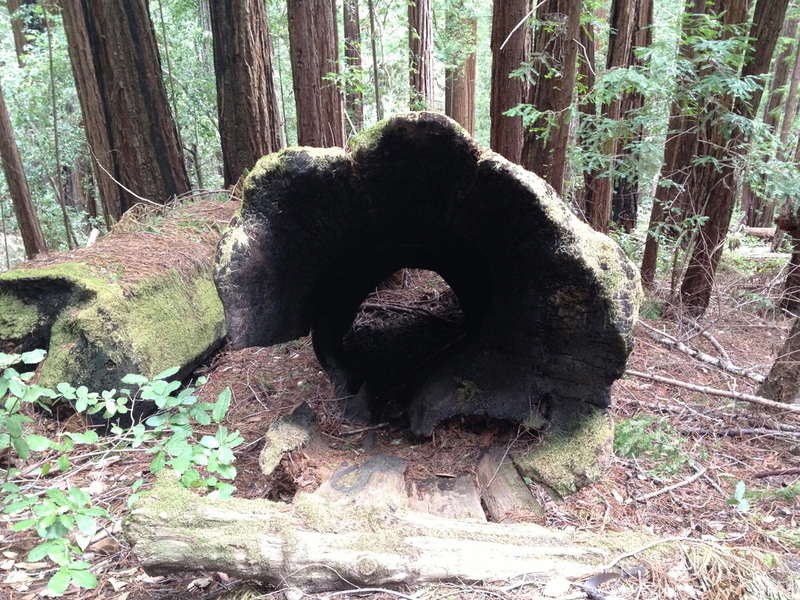 Big Basin Redwoods State Park, established in 1902, is the first state park in California. 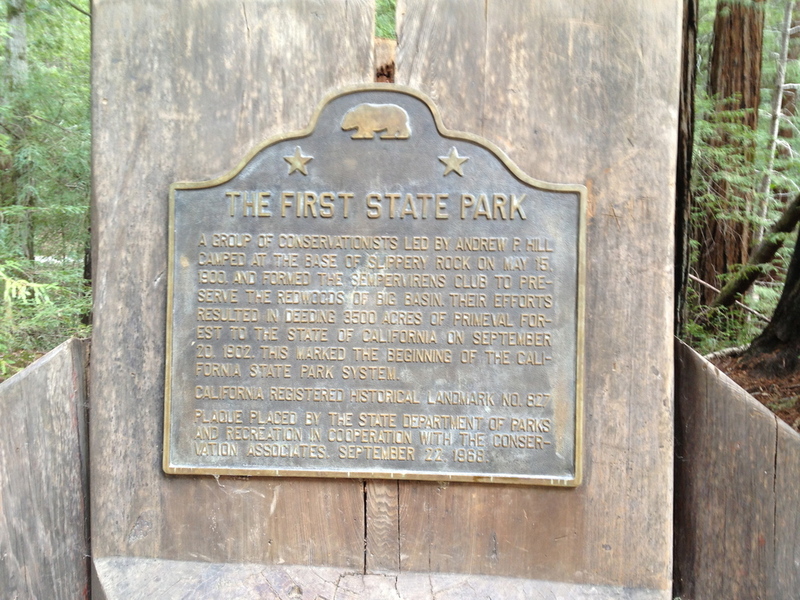 There is a plaque near the slippery rocks that explains the establishment of the park system. Since we got to the park in the afternoon, we did not have time to do an extensive trail so we decided to do the 4.5 mile Sequoia Trail loop. 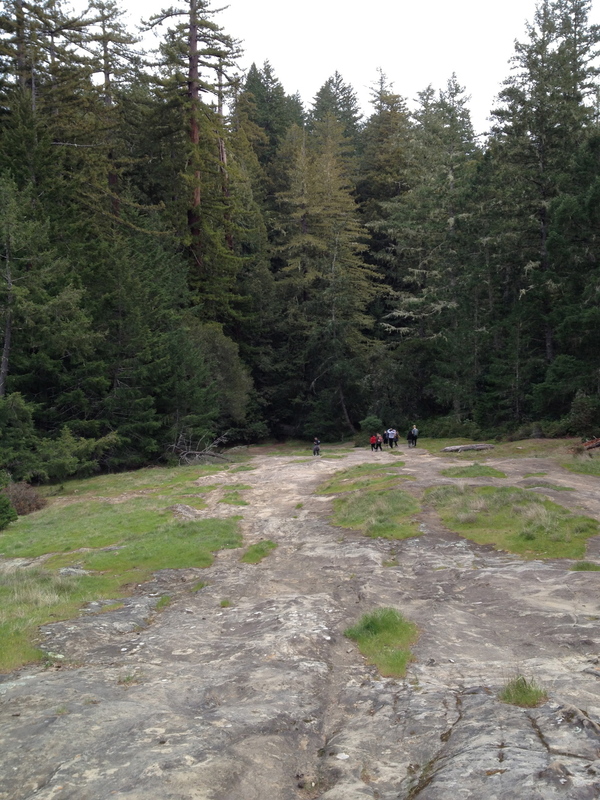 On our hike we passed the Sempervirens Falls which wasn't that big and then off to the Slippery Rocks which is a climb up and on your way you can see holes in the rock evidence of Ohlone tribes using rock to grind acorn into flour. Once you are the top of the Slippery Rocks, you get a nice view of the top of the trees and you continue on to the Skyline to the Sea trail. The Skyline to the Sea trail takes you all the way to the Pacific Ocean from Castle Rock State park. 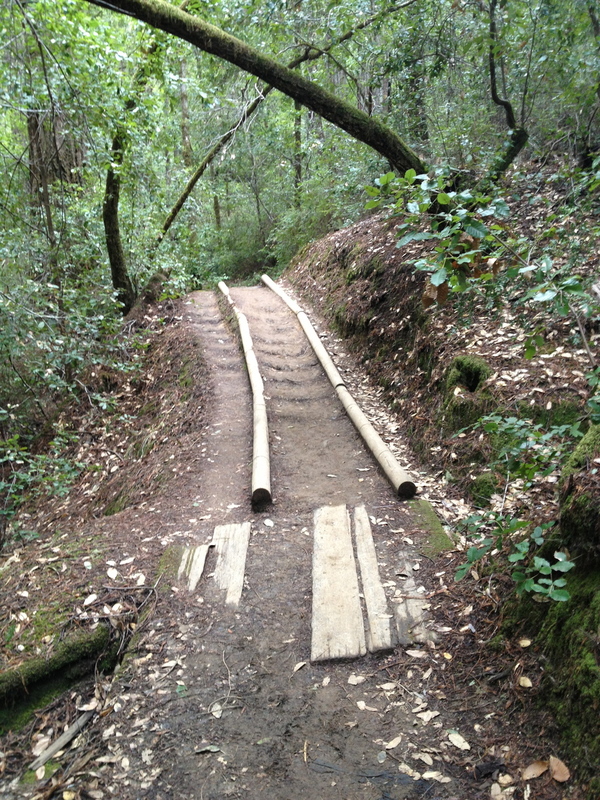 The overall hike is easy with parts that are moderate such as the climb up Slippery Rock. The hike took us 2 hours with a stop for snack half way. Always be sure to look up and down since there is so much to see here.